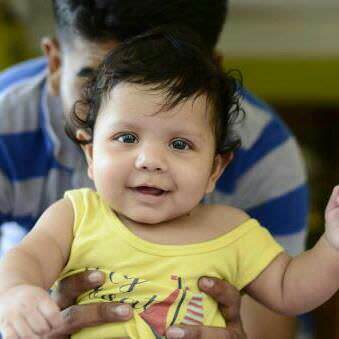 My son, Sagnik, is 2 years 3 months old. 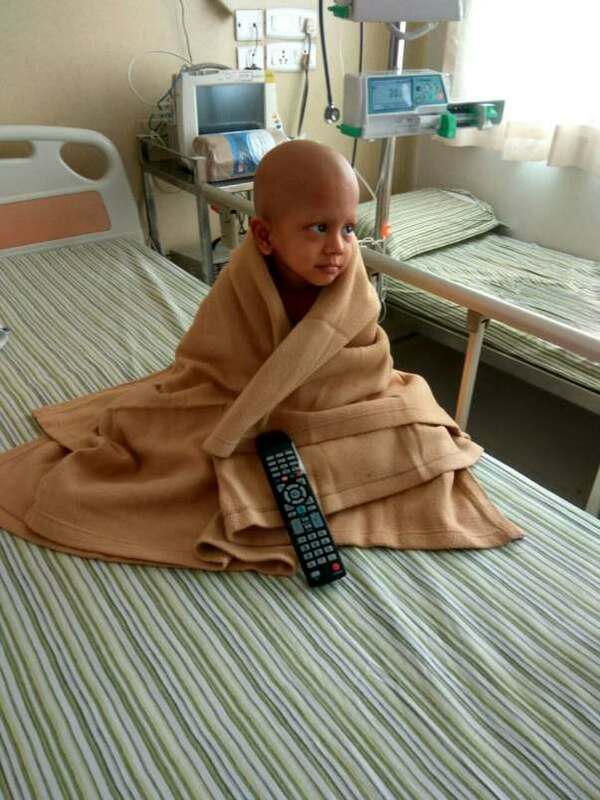 He was first diagnosed with Neuroblastoma Stage IV cancer on 30th August, 2017. 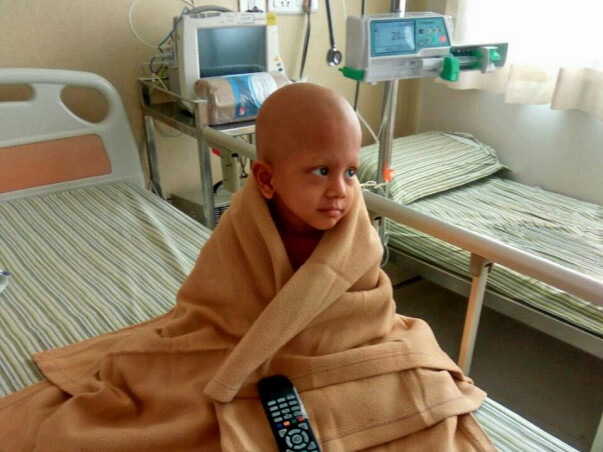 He was treated in Apollo Cancer Institute, Chennai and complted Chemotherapies and Bone Marrow Transplant(BMT). He was doing well but suddenly after 3 months of BMT, around 12th March, 2018, he developed a lump over his head. After further diagnosis, doctors confirmed that it has relapsed. 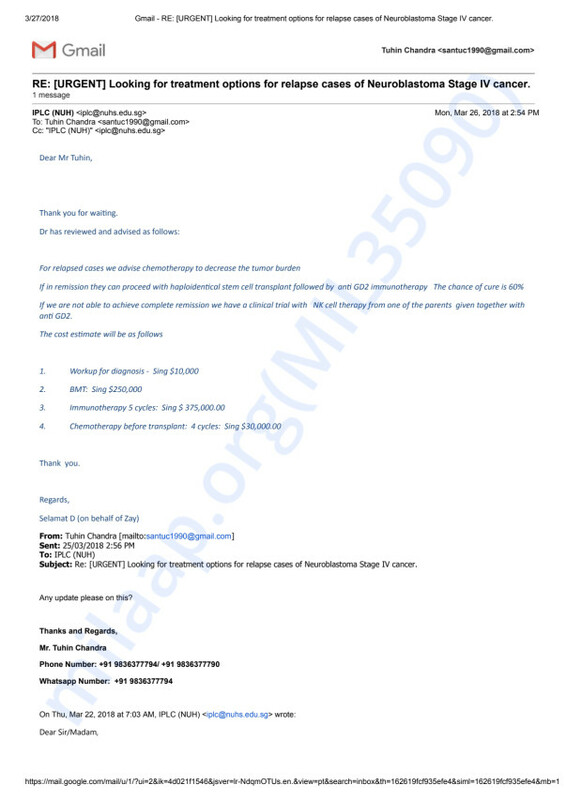 We further consulted with doctors and found that relapse treatment are not available in India. However, since I was involved with different facebook communities, I came across different hospitals in UK, US etc, where relapse treatment is done. 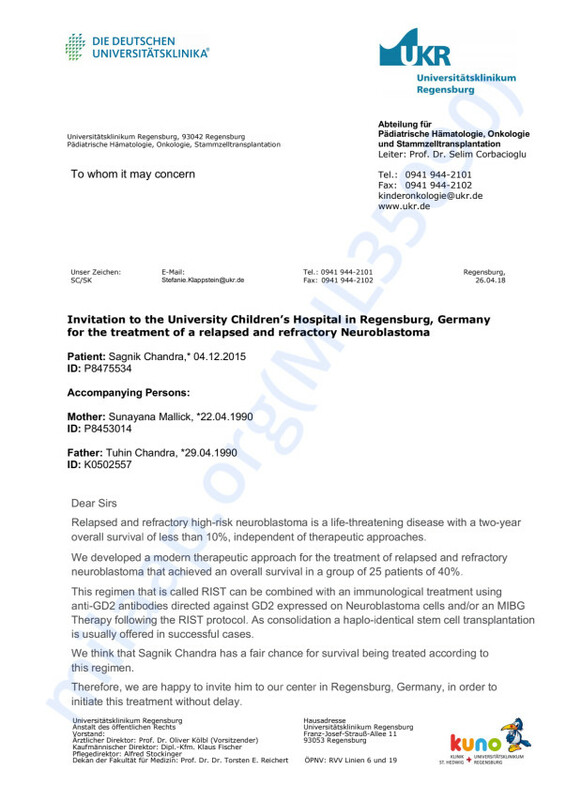 Me, my family and my friends are working to gather treatment details and hospital adress so that we can start next course of treatment as soon as possible. We have contacted several hospitals, organizations so that they stretch their healing hand to us. I will share further details once I get the treatment plan. Now treatment in overseas is very expensive. 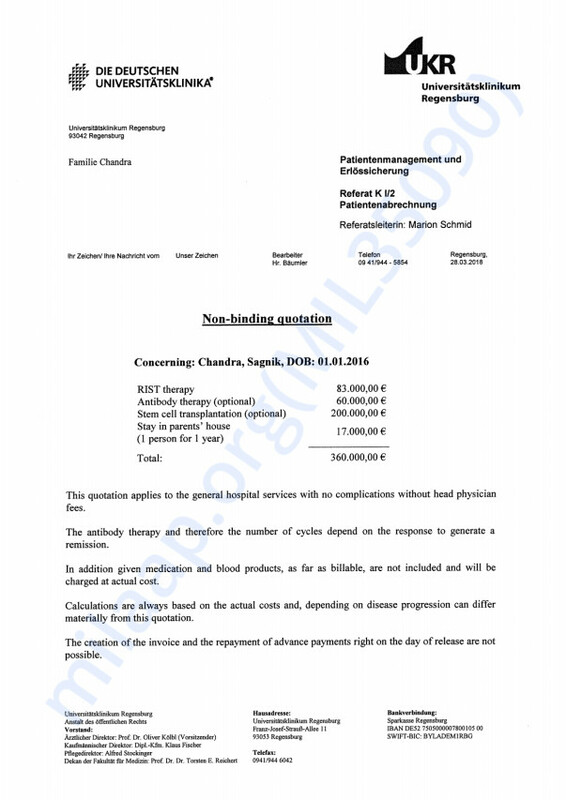 Recently I talked to a doctor in Germany who said whole treatment will cost apprx. 0.5 million US dollar. However he extended his support and also thinking if part of the treatment can be done from India. Our treating oncologists are in touch with him and I hope soon they will figure out something. Once we get detailed treatment plan and written cost estimate, I will share them without delay. Now I am not the one who will step back for not affording the cost of treatment. I will explore each and every possible way and will knock every door to raise fund so that I can give my son a chance to live. So, I really need your help and contribution for this mission. I am hopeful that together we can accomplish this mission. Please share my message to wider audience which will help me raise funds. Milaap team had a chance to meet Sagnik's parents. It was heartwarming to hear about their struggle and their coping of the grief after Sagnik's unfortunate demise. Excerpts from the conversation have been created into a memorial video to pay tribute to Sagnik and his parents' efforts for creating the Sagnik Memorial Fund. Sagnik's memorial fund has saved so many lives and has brought smiles to many families, trying to save their children and loved ones. The list of campaigns supported by Sagnik's Memorial Fund has been already shared in a separate update. We once again thank you for all the generous support you have shown. Thank you for the tremendous support you have been showing since the past one year. The funds that have been collected through Sagnik's campaign have been utilized for other medical causes depending on the urgency and need. Sagnik lives on through them. Thank you everyone once again. It's because of you all, that we are now able to help so many other people in need. Thank you for your overwhelming support. Thank you everyone for being so supportive. None of this would have been possible without you.